Today i was back at Cunneries fishery in Eccleston for the last round of the teams of three and my Adlington angling red team was lying in fifth place with 76 points which was ten points away from the top three money positions , so that seemed out of the question but we still wanted to finish as high as possible because it was my first outing with the Daiwa Adlington squad . The weather leading up to the contest had been a bit iffy with a drop in temperature plus some strong showers and this of course had an impact on the matches taking place during the week , so bearing this in mind a figured that a low winning weight would be needed and a good draw required . On arrival to the fishery i noticed that the wind was blowing towards the car park and the vegetation on the s canal had grown quite considerably since my last visit almost a month ago due to various other commitments , after having a chat with a few of the locals they had a similar view to me in that it would be tough going and hawk lake would be the favorite to win the match , when my other team members turned up we had a discussion on how we would attack it today and hopefully get the points required to move further up the table . 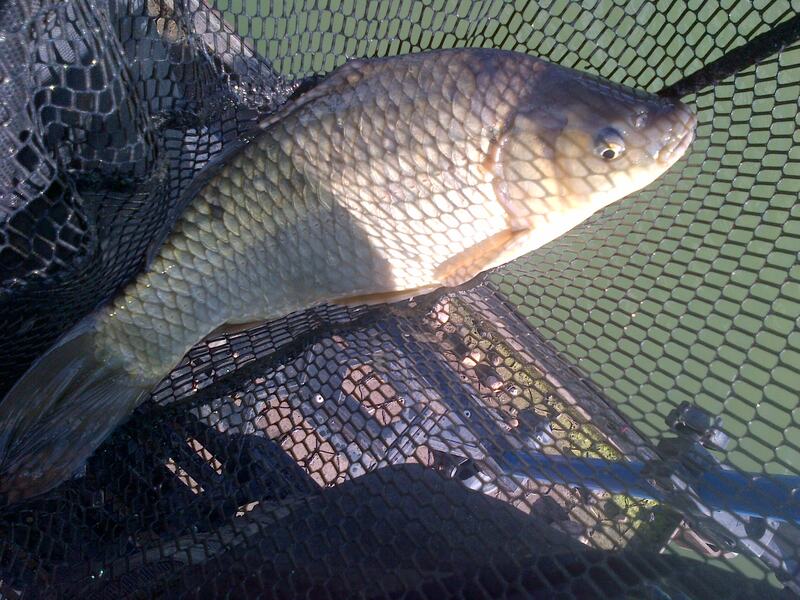 3ft pellet rig for fishing in front of the far bank reeds and i used a 4×14 roob float which had an inch spread bulk starting above the four-inch 012 garbo hook length . 3ft maggot rig for fishing across if they didn’t want pellets and i used a 4×12 maggot float which had a bulk plus dropper spread along the 014 garbo main line , attached to it was a six-inch 012 garbo hook length . mud bank and left hand margin rig , i used a 0.4 muddie float which would help keep the rig still if lots of fish came into the swim and i had the usual 014 garbo main line with a six-inch 012 garbo hook length . 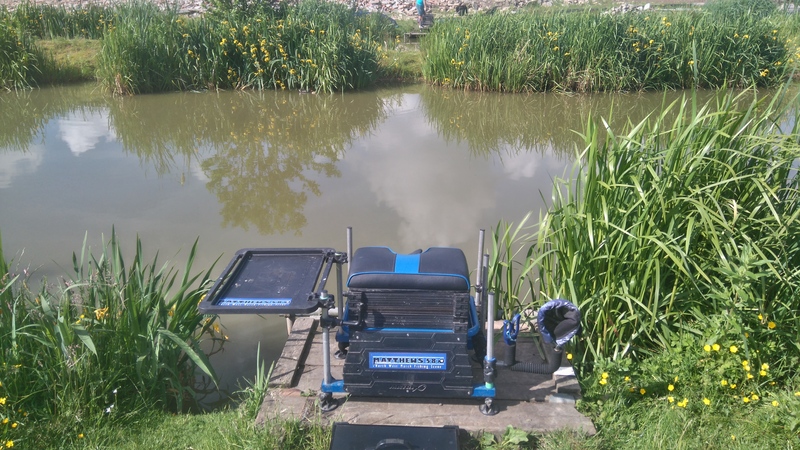 i also set up a shallow rig incase the came up in the water across to the reeds and i used an 0.1 mini mag float which had a bulk above the four-inch 012 garbo hook length . When the all in sounded i began across to the far bank in front of the reeds towards my right and it only took a couple of feeds before i caught my first f1 , it was very slow going but by regularly tapping in a view micros plus lifting + dropping my rig i managed to entice a few fish to take my 4mm expander and in the first hour i had managed to catch half a dozen but my swim wasnt getting any stronger , it seemed like it was going to be a catch what you can day and keep setting up new swims similar to what you would do during the winter months .I plumbed up a new line on the left hand reed beds and started again yet again i had a quick couple of f1s then the hand sized skimmers moved in which wasnt a good sign , so i moved a couple of feet away and started again this is how i spent the first two hours of the match putting a dozen f1s in the net , at this point i was well up there with the anglers within eye shot and i also began loose feeding maggots towards my left hand margin , when bites began to tail off i plumbed up to see if i could find any shallower water if they had backed off and right in between the reeds were there was a bit of a bay i managed to find just over 2ft . My new swim produced straight away although i did have a problem with them diving into the reeds when hooked and i ended up losing a few but it was the only place that i could regularly get bites , i noticed that a couple of lads where picking up the odd fish on the mud bank so i decided to follow suit i began by putting in a large kinder pot of maggots and lowered my rig in over the top of it , i managed a couple of small skimmers before foul hooking an f1 and it wasnt really working for me so i decided to big pot in some maggots to see if things improved any .While it settled i rotated my pellet swims picking up a few fish from each to be honest i was quite enjoying it and i was catching more than i usually do before my margin lines kick off , another look on the mud line didn’t produce for me so i kept plugging away on my pellet lines putting the odd f1 in the net and with two hours of the match left it was time to try my left hand margin which i had thrown a dozen maggots every five minutes in front of the reeds, so i expected there to be a few lined up i had a big f1 almost instantly which was promising and i thought that i could be on for a framing weight but my margin just died on me which was a complete shock as it had been my banker on every match i had fished on the s canal .I decided to big pot in the shallowest water i could find which was a top kit towards my left if they wanted to be in this depth and while it settled i rotated my pellet swims across , basically that is how i spent the rest of the match because both the mud bank and margin never worked for me . When the all out sounded i had 28 f1s on the clicker so i thought that i might be on for a good weight and had caught more than those anglers around me , when the scales arrived i was one of the first to weigh in and my net went 33lb so it seemed that pellet fish wasnt as big a stamp as worm fish on the s canal . 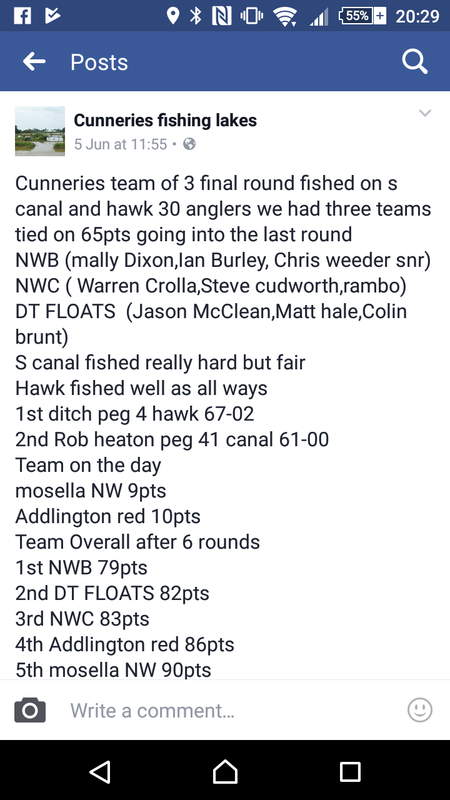 I was second best weight on my leg of the canal but the lower numbers fished a lot better which pushed me down to sixth missing out on third by just 2lb which was my worst place in the league not how i wanted the series to end , luckily the other lads in the team had fared a lot better as they finished first + third on their lakes this left us on ten points and which was good enough for us to finish second on the day , a few of the teams towards the top of the league had suffered a poor round so we hoped that we might have a chance of moving up the table and when the results had been read out we ended up in 4th place which is good for a new squad but we missed out on third by just three points . 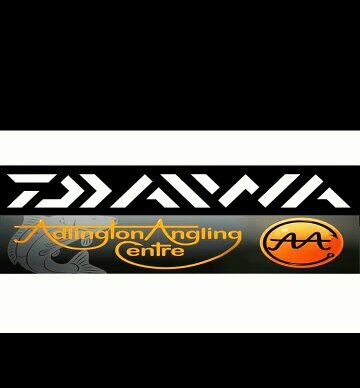 So that was the end of Daiwa Adlington first attempt at team fishing and we suffered a few ups and downs including a proper stinker of a round when we had 23 points out of a possible thirty , but when we finally got to grips with the venue we ended quite well managing two team seconds and two individual seconds , so that will call time on the team events for the time being until the winter leagues begin again in november but i have enjoyed the experience and will be looking forward to continuing my time with the squad . 4ft rig for fishing half way up both slopes and i used a 4×12 MD maggot float which had a bulk plus dropper shotting pattern spread along my 014 garbo main line attached to it was a six-inch 010 garbo hook length . 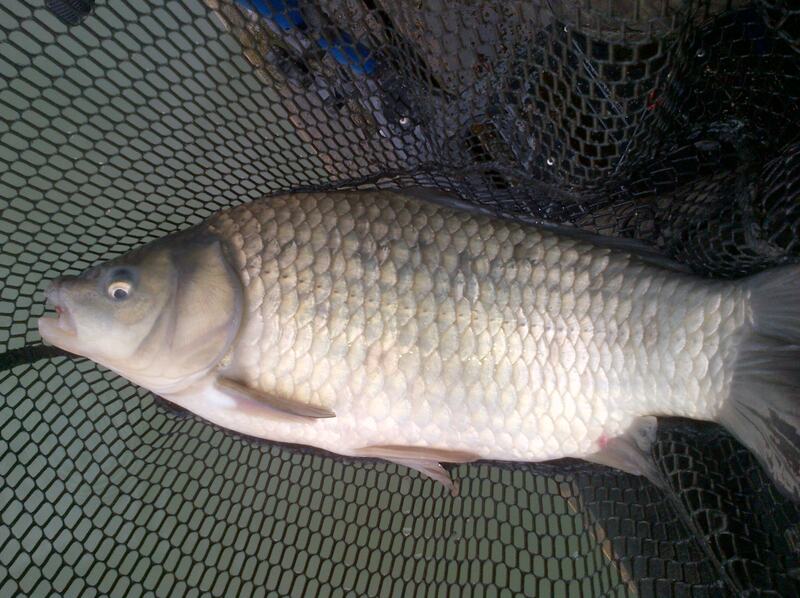 3ft rig for fishing in front of the reeds across and in the margin and i used a 4×10 MD maggot float which had a bulk plus dropper shotting pattern spread along my 014 garbo main line attached to it was a six-inch 010 garbo hook length . shallow rig for when they came up of the deck in the margin and i used a 4×10 MD mini maggot float which had a bulk of eleven stotz above my six-inch 010 garbo hook length . When the all in sounded i decided on a bit of a change today to see if i could sort my early part of the match out which is usually where i struggle and i began on my 4ft rig with pellets , i had been informed that they had pumped cold water in to the s canal all week to try to keep the weights down and freshen up the water which could knock the fish off the feed, so i decided to take it easy with the bait until i knew how the f1s would respond and after tapping in a few micros i laid my rig in so that it would fall along the far slope keeping a tight line between pole + float which would help me spot any tiny indications . After a couple of feeds i had my first f1 in the net and i managed a few more during the next half hour but it was slow going but it was the same for everyone down my end of the s canal , after a while i began getting midered by skimmers + small stockies which can be a problem when using pellets so i plumbed up a new line a meter towards my left and started again this produced a couple more f1s . 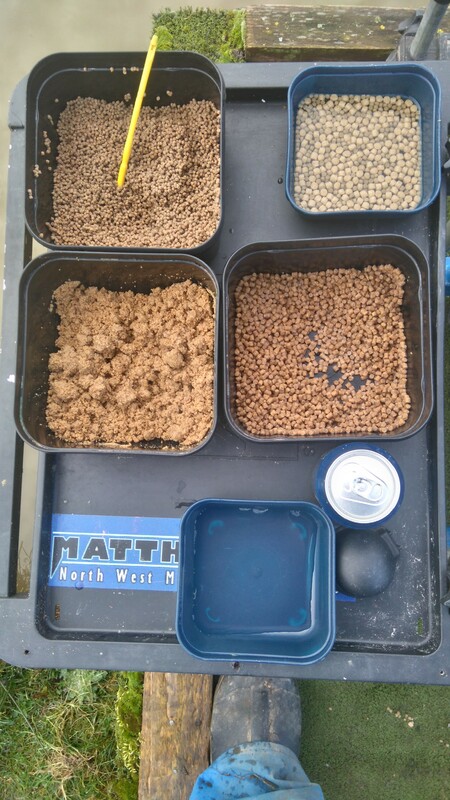 I wasnt really happy with the way things were going today using pellets so i changed my 4ft lines to maggots but this didn’t produce how i would have liked , i had fed my top three swim with maggots since the match started but this produced a few indications which i couldn’t connect with and with not a lot happening i needed to keep rotating swims to pick up the odd fish . With half the match gone i only had 12 f1s in the net which was about the same as everyone that i could see and i also heard lots of moaning going on saying how hard it was fishing today , i had been loose feeding maggots regularly on my left hand top three margin swim tight to the bank in the shallowest water that i could find and this produced a couple of quick f1s , it seemed that pellets was the bait to be using today but i didn’t have a great deal of micros made up so i had to be a bit careful on which lines i fed it and i decided to put in a new swim at 11m towards peg 14 , this got me a couple more fish but the small stockies moved in so i swapped onto my other margin swim which produced the odd f1 and it was noticable that i would catch almost straight away when changing lines before they backed off . With the 3ft swim working close in i decided to put in a line at the same depth across towards the far bank reeds to see if it would work as good but it only produced small skimmers so i spent the rest of the match concentrating on my two margin swims and i managed to pick up the odd f1 up to the all out , strangely today i didn’t suffer with any line bites which can be a problem on here it just goes to show the lack of feeding fish down this end of the s canal . After packing my gear away i had a quick chat with the lads near by and they had found the going hard as well but managed to catch most of their fish on pellets in three-foot , i followed the scales down the main two legs of the s canal and when they arrived at my peg there was a 60lb weight winning with a low 50lb , then two low 40lb weights and my thirty f1s went 44lb which was good enough to win the section but more importantly finish third on my two legs of the s canal .The team captain put in a good performance to win his two legs of s canal and Rob had finished 5th on his first try on hawk pool so we ended up with nine points , which was good enough for us to finish joint first on the day with DT floats but ended up second on weight and we was all extremely pleased with how things went today especially after our disaster on the previous round , i am unfortunately going to miss the penultimate round as im contesting the two hundred pegger North vs South match at Tunnel barn that weekend so i hope the rest of the squad can keep it going . 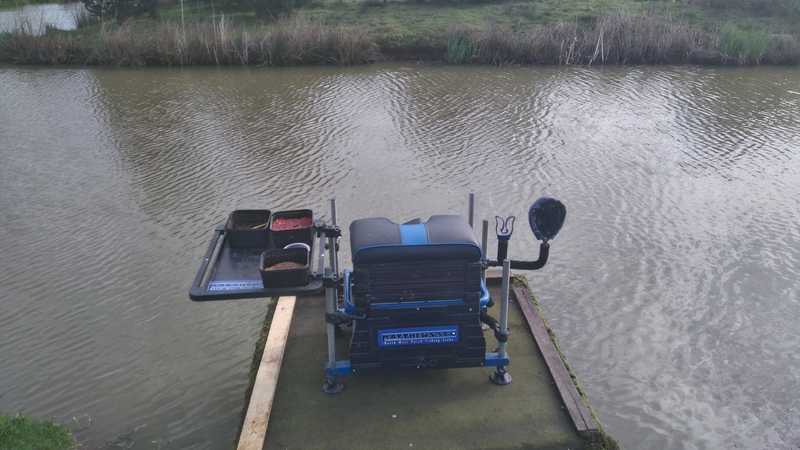 It’s the first round of the Angling times supercup tomorrow at widows flash in Spring view so lets hope we can keep the good form and put up a decent performance . 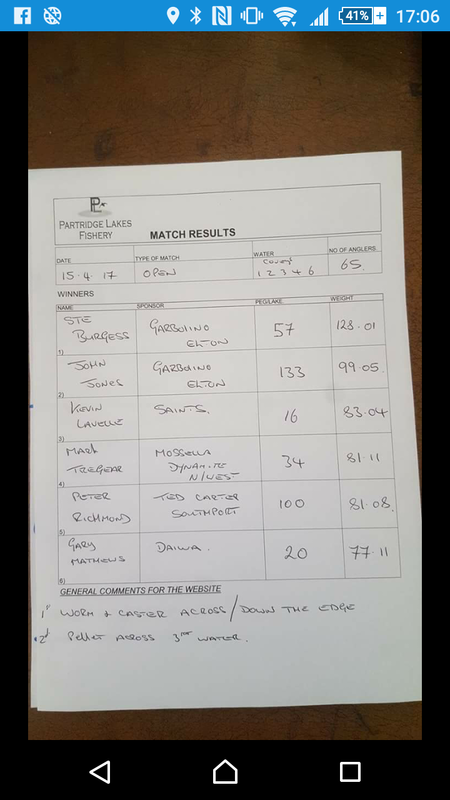 I was back at Partridge lakes today to contest the open match and as i was attending the Preston pairs contest here on bank holiday monday , i wanted to get a heads up on how it was fishing because i had not ventured here since the winter leagues stopped about six weeks ago and it was nearly six months since i sat on covey 1-4 so i expected to be a bit off the pace today . After getting a nice sun tan last weekend at cunneries fishery and widdows flash we was back to normal now as we had a dramatic drop in temps plus a strong easterly wind to contend with so it was back out with the thermals again , the conditions had a bearing on how i was going to tackle my match today because i had just been getting my head around worm+caster but looking at the reports on Facebook those anglers that had used it was struggling for fish so i decided on a pellet approach with maggots as a backup if i drew on a noted ide peg . On arrival at the complex all the usual regulars were present so i had a quick chat with them while i waited for a couple of my Daiwa adlington squad members to turn up because they fancied a change of scenery from Bradshaw’s fishery all the talk was of what pegs you wanted because the wind was blowing really strong along the car park side which meant that down the splits plus a couple of other areas were relatively flat calm, before i knew it the draw had begun so i settled in the queue towards the rear and when it came round to my turn i pulled out peg twenty on covey one which was a good area plus the peg to its right had finished in the top six the previous day usually i see this is a bad sign because i have noticed on here that they don’t like getting caught from the same place two days running but fingers crossed they had not moved too far . 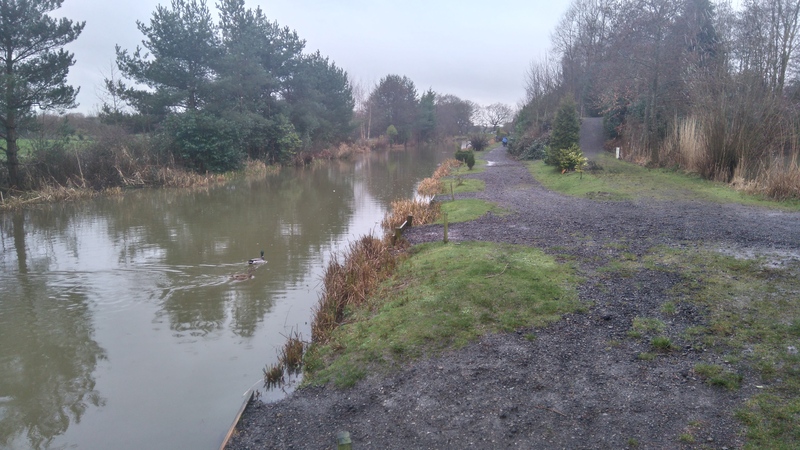 Three foot pellet swim for fishing against the far bank rushes and also half way up my near side slope , i used a 4×14 roob float with an inch spread bulk starting above my four-inch 012 garbo hook length and my main line was the usual 014 garbo . 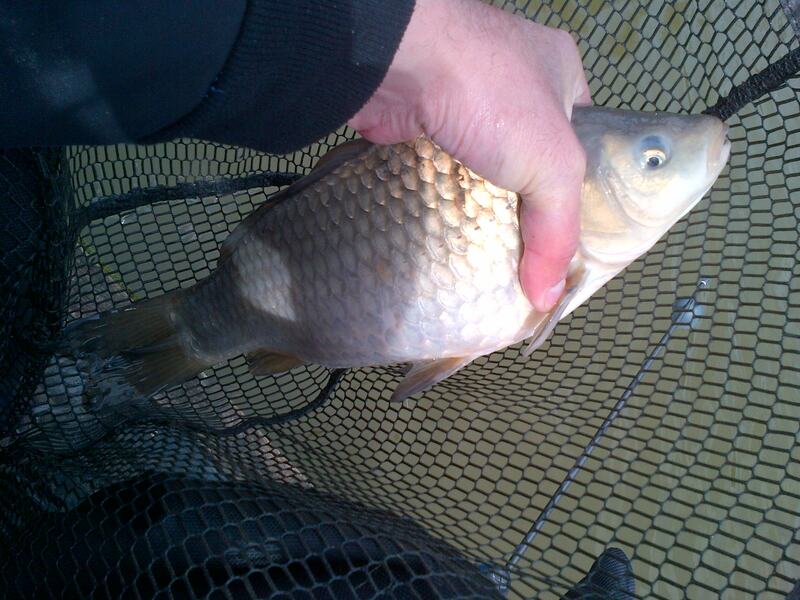 Two foot pellet or corn rig for fishing tight to the near side vegetation in case the wind changed direction and i used a 0.4 joof float with an inch spread bulk starting above my four inch 012 garbo hook length and my main line was the usual 014 garbo . Channel line which i plumbed up to find just over five foot and i positioned this at seven meters towards the bowl too my left because i had not got a great deal of room to my right , i used a 4×14 maggie float with a bulk plus dropper shotting pattern my main line was the usual 014 garbo and hook length was a six 010 garbo . When the all in sounded i began by fishing across to the far bank in front of the over hanging reeds and after tapping in a few micros i held my rig still over the top of it , it took a couple more feeds before i had any sort of indication and not long after my first f1 was in the net but over the next twenty minutes the wind switched direction slightly meaning i was struggling to control my pole , i did manage a couple more f1s in that time but it was hard work keeping my rig still and i felt it wasnt worth staying on this line any longer . 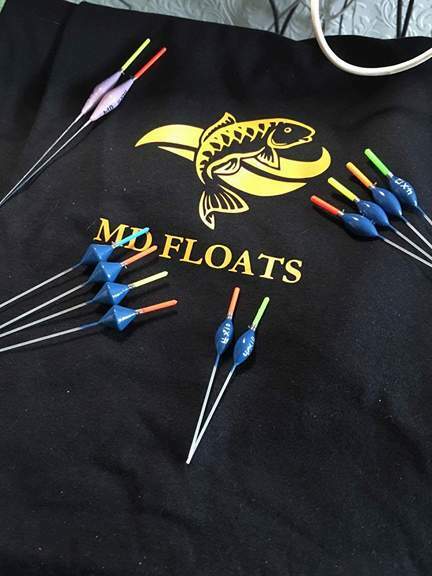 I went onto my three-foot rig and plumbed up a new line at eleven meters along the left hand margin and i started by tapping in micros again as i expected to be targeting f1s , after a few feeds i began getting indications on the float which looked like line bites so i changed to clumping in the pellets to try to get them back on the deck and this worked remarkably well because no sooner had my hook bait hit the deck then i had a proper sail away , which was no stockie f1 as yards of red elastic streamed out of my pole tip after a spirited fight a 4lb carp ended up in the net over the next hour i added a further four similar sized carp but strangely no f1s and i found it best to flick my rig out into open water then drag it up the slope which resulted in proper gazunder bites . After a while the bites started to fade and i also noticed the fish had started topping further along my margin so i made the decision to add-on a section then plumbed up a new swim , while the disturbance of doing this died down i had a quick look on my top kit between my nets which i had thrown half a dozen maggots since the match started but i never had an indication in fifteen minutes , so i had a look on my channel swim but yet again i didn’t have any indications which i felt was a bit strange because it’s normally a viable option on here . Thirty minutes of inactivity on my other swims had me going on to the new line along my left hand margin yet again i began by trickling in some micros which turned out to be a good move as i caught mostly f1s here but they was a very big stamp and i only had a couple of stockies all match , when bites began to tail off i fed a nugget of ground-bait which seemed to draw them back into the peg and by doing this i also picked up a couple of carp including one around 7lb , in the last forty minutes i missed quite a few bites and the f1s that i did catch were a bit deep hooked it was a sure sign that i was fishing a bit over depth which was a bit strange because i hadn’t really changed anything when fishing this swim . As the all out sounded it called time on a rather confusing match because although i had caught a few fish i never really had them lined up at any point and had a lot of carp in my net than the usual f1s ,i was the last to weigh in on covey one with 83lb winning the lake when they arrived to me and my two nets went 77lb so only a few pounds short , i felt that i could have caught it as i lost a couple of carp by being lazy and not changing hook lengths when they had got damaged , which wouldn’t have been that big an issue if i was just catching f1s but the fish i did get were a big stamp because i only caught thirty of them during the match . As it turned out i had managed to finish sixth in the match which was better than i had hoped for before the match started and i learned a great deal before the Preston pairs match on bank holiday Monday so lets hope i can pull out a couple of pegs which would give us a chance of catching a few fish . 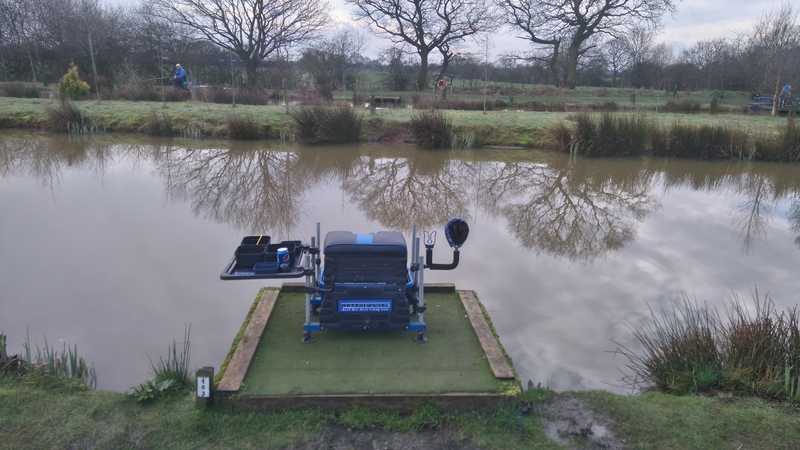 Today was the last round of the winter league at Partridge lakes and it has been a very long series which was probably down to the fact that we wasnt in contention since Christmas after a lot of poor draws and also poor displays by all of us in the squad but that’s the way it goes sometimes , anyway on to the match and on arriving at the fishery we was greeted with blue skies , hardly any wind but a significant drop in overnight temperature and i even had to defrost the car before i set off which i figured would make the fishing a bit difficult . Margin top four towards the empty peg to my right were it was nearly four-foot deep and i was going to feed 4mm pellets here by hand so i used a 4×12 maggie float with a bulk plus two dropper shotting pattern , my main line was the usual 014 garbo with a six-inch 010 garbo hook length that had a size 18 guru pellet hook . Top four directly in front of me which i was going to lose feed maggots by hand it was nearly five foot here so i used a 4×12 maggie float with a bulk plus two dropper shotting pattern , my main line was the usual 014 garbo with a six-inch 010 garbo hook length that had a size 18 guru maggot hook . 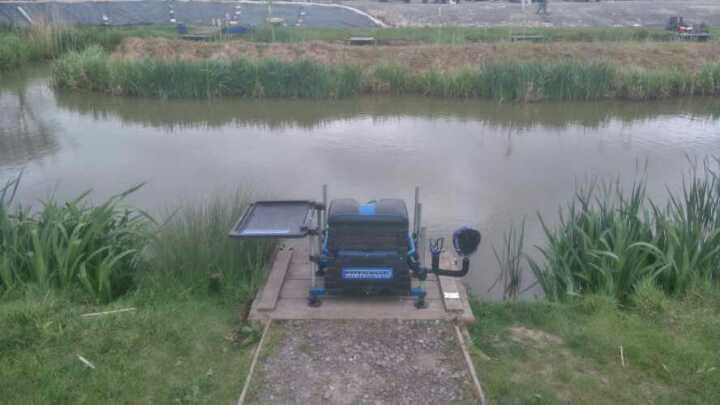 I used the same rig for fishing down the track at nine meters towards my left and i would pot in pellets on this line . 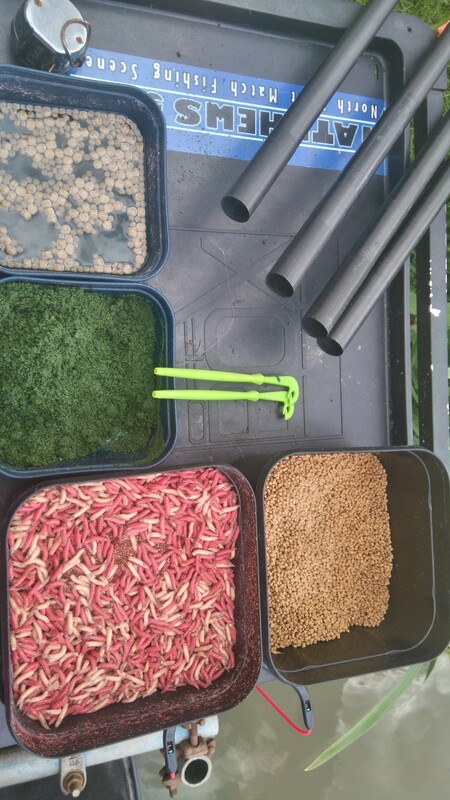 When the all in sounded i fed my margin with half a dozen 4mm pellets and through the same amount of maggots on to my top four swim i was going to do the same every ten minutes to hopefully build them up for later in the match , i then shipped out to my marker at the left hand side of the reed bed with my pellet rig and after tapping in a few micros i lowered my float over the top of it , it took about 15 minutes and three feeds before i even had an indication a similar amount of time passed before i had my first fish which was a nice stamp f1 which put up a good fight on my 6-8 map hollow elastic and i think it’s about time i stepped it up a touch before my next match . Another 15 minutes passed before i had my next fish but i had noticed that i would get indications on my float every time that i tapped in a few micros and even in this early stage of the match i made the decision to plumb up into some shallower water and i found around three-foot towards the right of the far bank reed bed , while it settled down i gave my maggot rig a try over my original pellet swim i had a 4mm expander on the hook which would allow for a slow fall of the hook bait and i hoped this might grab the attention of any passing fish but unfortunately this didn’t work for me . 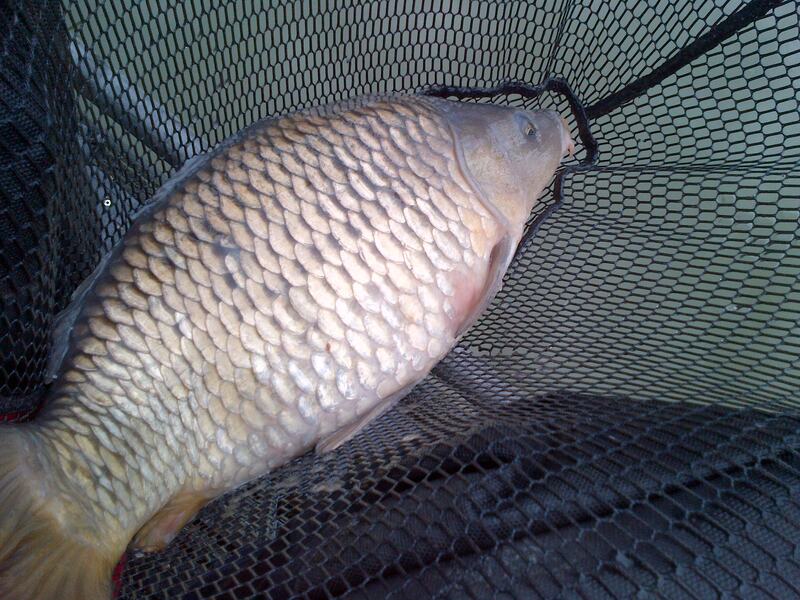 It was now time to try my new pellet swim and it took some time to build up the line but after a while i managed another f1 plus a bonus carp about 3lb , a bite less thirty minutes had me scratching my head but on looking around it was noticeable that everybody was struggling for bites and i decided to give my other swims a try , i had a quick look on my margin swim but apart from a few gudgeon it was a waste of time and i made the decision to up the amount that i was feeding here , my next swim to try was my top four maggot and i had a good run of fish here the only trouble was that they were two ounce silvers not exactly what i wanted to catch , dropping onto my channel swim didn’t produce a single indication for the next two hours + thirty minutes i rotated my near swims set up multiple far bank lines and i failed to catch anything other than small silvers . Things wasnt looking good but with just forty minutes of the match remaining and the wind changed around a touch meaning that i now had a ripple in front of me , it’s surprising how such little things can make a big impact because with in ten minutes of going back to the far bank with my pellet rig i missed my first indication in ages this focused my attention and i soon had another f1 in the net , then another quickly followed but after that little flurry of bites i had a ten minute wait before my bristle lifted up a touch i was just going to re set my float when it shot under and i had a spirited fight with another bonus carp then just before the all out i managed another f1 . So that was the end of the match and a rather frustrating one it was too as i had a good start and end but the middle of the match was just plain awful , although after speaking to the other anglers it was the same for every one apart from the lad to my left who managed to sneak in a few fish by dobbing corn all along the far bank , which is something that i should have done to because i knew that on the previous days open match on the coveys a lot of people had caught doing it , when the scales arrived at the lake i walked down to watch the lads in my section weigh in and the lad on the end peg managed 23lb most of which he caught in the last hour when the wind pushed the fish his way , the others had a similar match to me i had 13lb to beat for the section second my net went nearly 17lb so a pretty standard two points yet again but I’m not sure i could have done much different today and to show how bad marsh canal fished i somehow managed to finish third on the lake . Round two piper lake for third in section and the team ended up with nine points . Round three covey six for forth in section and the team ended up with twelve points . Round four covey five for last in section and the team had a proper shocker with nineteen points . Round five marsh canal for second in section and the team had fifteen points . Round seven willow pool for a section win and the team ended up with nine points for joint second on the day . Round eight willow pool last in section and team ended up with sixteen points . Round nine covey six for third in section and team ended up with seventeen points . 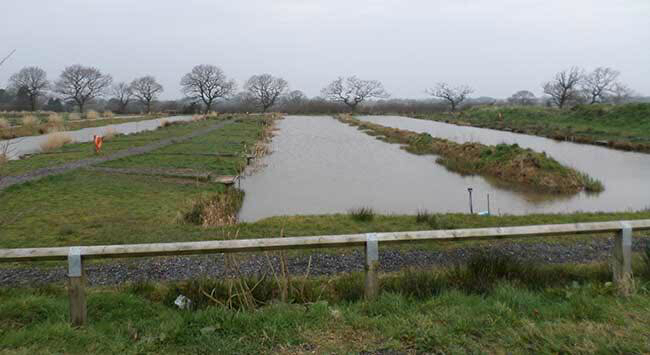 Round ten marsh canal for second in section and team ended up with fifteen points . 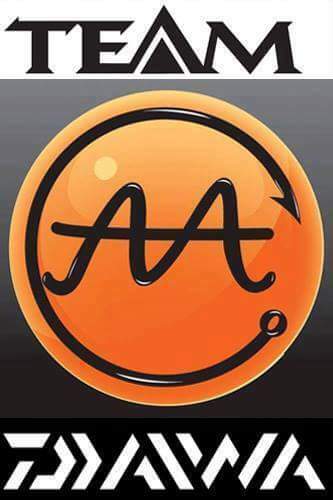 So that’s the Partridge winter league over for another year and on to my new venture with Daiwa Adlington where i will be contesting the teams of three spring league at Cunneries fishery which i am really looking forward too . Today i was contesting the Memorial Charity Fishing Match held at The Cunneries Fishery in Eccleston with all proceeds going towards the Golborne Colliery ex Miners in memory of 10 young miners who were taken from us as a result of an explosion at Golborne Colliery on the 18th March 1979 and although the weather was forecast to be pretty awful with a strong easterly wind plus constant rain which might have put a few people off but it was all for a good cause , so even in those conditions i was quite looking forward to it especially as it was going to be spread all over the complex which would give us a bit of room and to be honest i needed the practice on here before the teams of three starts in April which is my first proper venture with the Team Daiwa Adlington angling squad and as i hadn’t fished the Cunneries fishery in well over a year i could do with the heads up , although i had done plenty f1 fishing at Partridge lakes during the last few months so i didn’t expect things to be that different today . On arrival to the complex i was quite surprised on how things had changed since my last visit the new lakes had come along well and the parking situation had improved a lot too , so after parking up i made my way round to the cabin and booked on to the match even a couple of hours before the start there was a lot of people milling around , for a change there wasnt many anglers that i knew although it was only to be expected as i had not been on here that much but i didn’t have to wait long before i saw a friendly face and we had a walk around the lakes to try to find the sheltered areas because the wind was increasing every minute . As it was quickly approaching draw time and with over seventy anglers due to be contesting the match i decided that i could do with an early pick before all the draw bags picked the flyers , while we was queuing up they started the raffle which took an age but it was all adding to the proceeds for the charity and when we finally got round to starting the draw i did not have to wait too long before it was my turn in the bag of doom , it looked like things had returned to normal as i picked out peg 37 which at first did not mean a great deal but i soon found out that i was on an end peg near the car-park with the wind blowing into it so no pressure then . Four foot pellet rig which was the shallowest water that i could find and to be honest it didn’t plumb up that great towards the point of the island but i finally managed to find a flat spot just to the left of some over hanging reeds , i also found two areas along the left hand margin at 4m+6m where it was the same depth and i used a slightly heavier 4×14 malman roob float which had an inch spread bulk starting above the four-inch 010 garbo hook length . Four foot maggot rig which was fishing in the same area if they did not want pellets today and i used a lighter 4×10 rw maggie float as this would allow me to hopefully pick up a few fish on the drop , i had just four number 11 stotz spread along the 014 garbo main line and my hook length was six-inch of 010 garbo which had a size twenty guru hook attached to it . Maggot channel rig i was a bit disappointed to only find five foot when plumbing up and it did go slightly deeper towards my right so i went out to a manageable six meters in that direction where the bottom flattened out a little , i used a 4×12 rw maggie float with a bulk plus dropper shotting pattern spread along the 014 garbo main line by hook length was six-inch of 010 garbo . 2 pints of red and white maggots . 1 pint of micros . 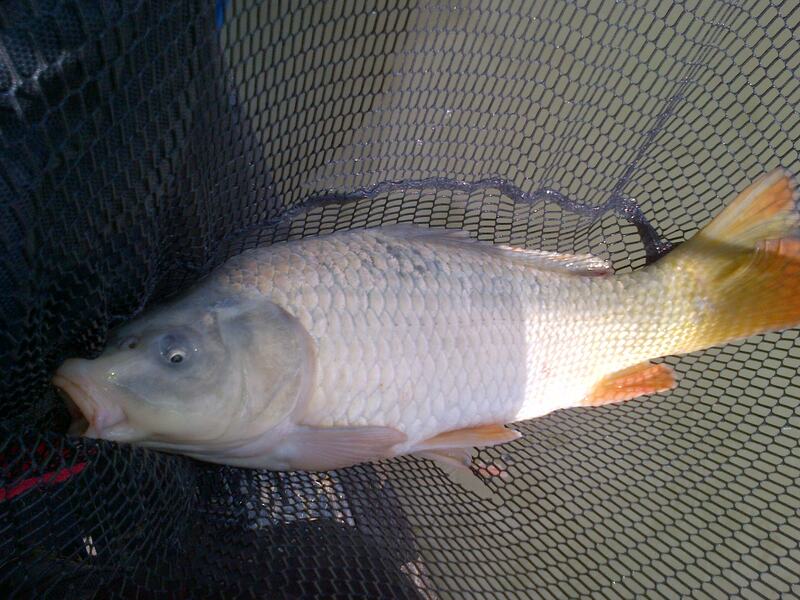 1 pint of crushed expander ground-bait . small tub of mixed expanders . When the all in sounded so did the rain and it stayed that way for majority of the match the wind was also blowing quite strong from right to left but i noticed that i had a little calm area towards the point of the island due to some over hanging reeds where i was able to present my rig properly , after a couple of feeds of micros through a small kinder pot i began getting the occasional indication and not long after i had my first f1 but even though i was putting the odd fish in the net the swim just didn’t seem to be getting any stronger , i was also having a few line bites and i felt that i needed to adjust my feeding to get them back on to the deck so i removed the lid on my kinder pot which enabled me to begin dumping the micros in , this worked for a forty minute spell but i must have over fed the swim because the fish deserted me . 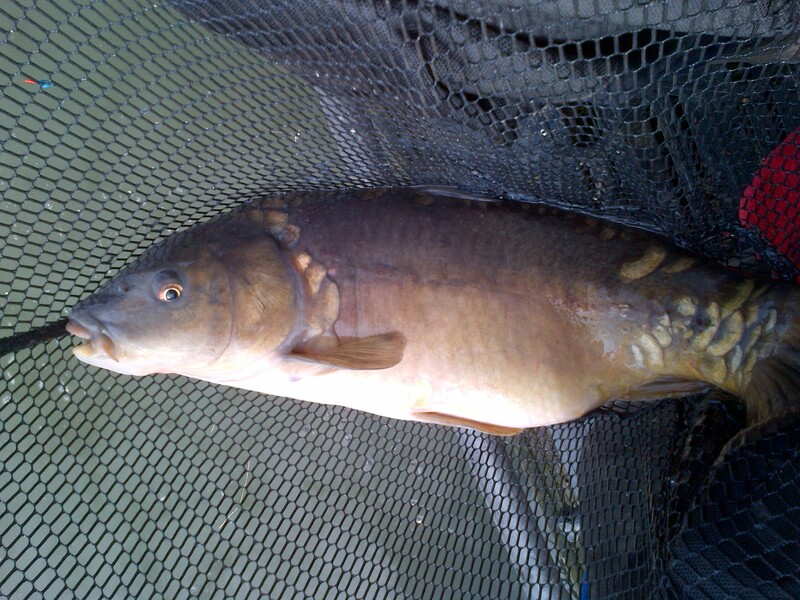 I had been loose feeding a dozen maggots into the corner of my left hand margin where the scum was settling so i decided to rest my far bank swim and give that a try , i had a big f1 almost straight away but i then got bited out with silvers which was a bit frustrating because if i did get my rig to the deck i would get an f1 and even after i altered the shotting on my float so it was all above my hook length it didn’t really improve things , i also tried increasing the amount which i was feeding but that just didn’t seem right in the conditions the f1s just did not want to settle this might have been down to the fact that all the rain had caused a little river running in under my platform which was muddying all the water in my margin and with two hours of the match gone i only had 15 f1s in the net this seemed to be more than those anglers within eye shot but i was certain that somewhere on the complex somebody would be bagging a few fish . My next idea was to go further along my left hand margin but this time i was going to use pellets and this worked extremely well as i went on a run of six in six drops before things slowed down so i went back across to the point of the island and picked up a couple more , by rotating between the two swims i kept putting f1s in the net but it was only when i changed to a different type of expander did things really kick off , i wasnt bagging by any means but my catch rate increased dramatically but i did not want to empty either swim so i dropped onto my channel swim which i had fed with half a cupping kit of maggots every thirty minutes since the all in , yet again i had a big f1 straight away before i had a run of little ghost f1s which was nice to catch but not what i needed if i was going to do a weight today so i came of this swim but continued to feed it incase i needed it later in the match . We was fast approaching the last hour so i decided to concentrate on the two swims which had produced for me earlier in the match and i was back putting f1s in the net , with twenty minutes remaining i had a run of tench from my margin line which wasnt a good sign as the f1s must have gone and i also noticed that the daiwa team captain plus my team sponsor was watching so the pressure was on for a good finish , my margin swim had died a death so i had to resort to going back on my far bank line and this worked a treat as i managed three f1s including one right on the whistle which was needed as you will find out later . When the all out sounded i had forty f1s on my clicker and i reckoned i had around fifty pounds because they was a small stamp for on here , but when my mates came over they reckoned that i had a chance of winning but i wasnt so sure because i never felt comfortable today and don’t feel like i had done the peg justice , after what seemed like an age they finally turned up because i was last on the complex to weigh in and i needed to beat 53lb i reckoned that it could be close as it turned out for a change i had luck on my side because my two nets went a touch over 54lb so i had somehow managed to win the match this was biggest individual result so far and it still hasn’t sunk in yet . 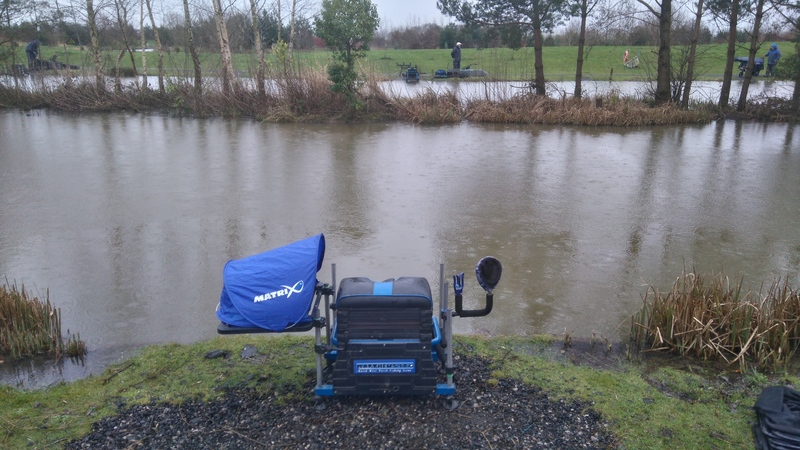 I would like to thank all those involved in running the match and to those that took part in awful conditions because we raised nearly a grand for the charity , I’m back out again tomorrow for a get together with the squad and some lads from the Adlington angling club at Widdows fishery where we are having a little team match . Today was the last round of the Partridge lakes individual winter league and as i was lying towards the top of the table i was quite looking forward to it even after last weeks disaster were i finished last in section on Willow lake , but as usual the weekend weather had put a dampener on things in more than one way because we had very heavy rain overnight and on arriving at the fishery most of the pegs where under water as the lakes had risen a good few inches plus it was forecast to be constant showers all day , which wasnt ideal for a good days fishing but i would just have to make the most of it as the conditions would be the same for everyone i suppose and after meeting up with a couple of lads that i haven’t seen for a while it was time to join the queue for the bag of doom , i could do with a top two in section but when i pulled out peg ten on marsh canal that looked very unlikely and to be honest i wasnt very happy because apart from one round it had struggled to compete with the lower numbers . On getting to my home for the next few hours the far bank was nearly 14m away with a bare bank directly in front with a dead reed bed either side and it did look ok especially when the odd fish topped towards the empty peg towards my left , the only trouble i had was that there was a big hill right behind and i would have to ship back twice when fishing across this would also have an impact on my channel swims because the furthest i could comfortably go was nine meters . Four foot rig for fishing across to the far bank and i used a 4×10 maggie float which had four size eleven stotz spread down the 014 garbo main line , this had a six-inch length of 010 garbo that had a size twenty guru hook attached and i also had a slightly heavier 4×12 maggie float in case the wind increased during the match on this rig i used a bulk plus two dropper shotting pattern , my main line was the usual 014 garbo and hook length was six-inch of 010 garbo which had a size twenty guru hook attached . Three foot rig for fishing right in front of the dead reeds and also down my left hand margin , i used a 4×10 maggie float which had four size eleven stotz spread down the 014 garbo main line , this had a six-inch length of 010 garbo that had a size twenty guru hook attached. Channel rig at nine meters on both sides of me because i wanted to feed pellets on one and maggots on the other , i used a 4×12 maggie with a bulk plus two dropper shotting pattern along my 014 garbo main line and hook length was six-inch of 010 garbo that had a size 18 guru hook attached . 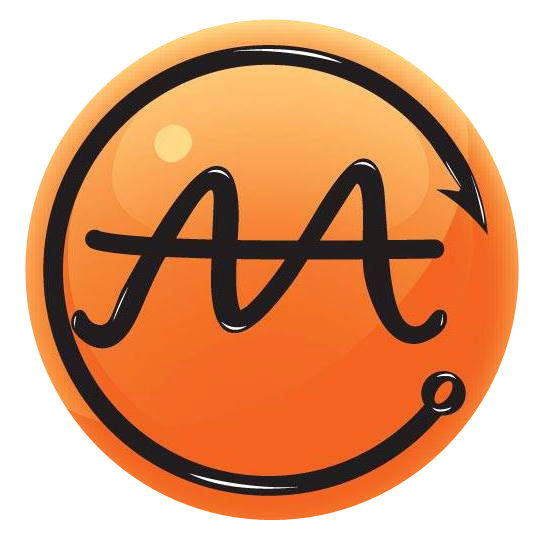 When the all in sounded i fed both my channel swims then began by shipping across to the mud bank and after a tapping in some micros dusted in ground-bait , i lowered my rig in among it with a 4mm expander on the hook and it took a couple of feeds before i had my first indication which resulted in a nice sized f1 hitting the net , so things looked promising especially as in the next hour i added another four but i also lost a couple on the way in due to my pole sticking in the monsoon conditions as i needed to break down twice as i was playing them .After awhile all indications stopped so i replumbed up a few new swims along the far bank but for the next ninety minutes i remained bite less even after trying both rigs and various feeding methods and on looking around lots of people were struggling as well although i could only see one lad in my section so i was unsure on how the others were getting on , i had a quick look on my pellet channel swim but i only had a solitary missed bite in twenty minutes and things wasnt looking good but after having a quiet word with myself i decided to try in three-foot in case the f1s had sheltered in among the reed bed to my right , i began by tapping in six maggots then lowered my rig over the top and after a couple of feeds i had my first indication but i could only catch small roach . 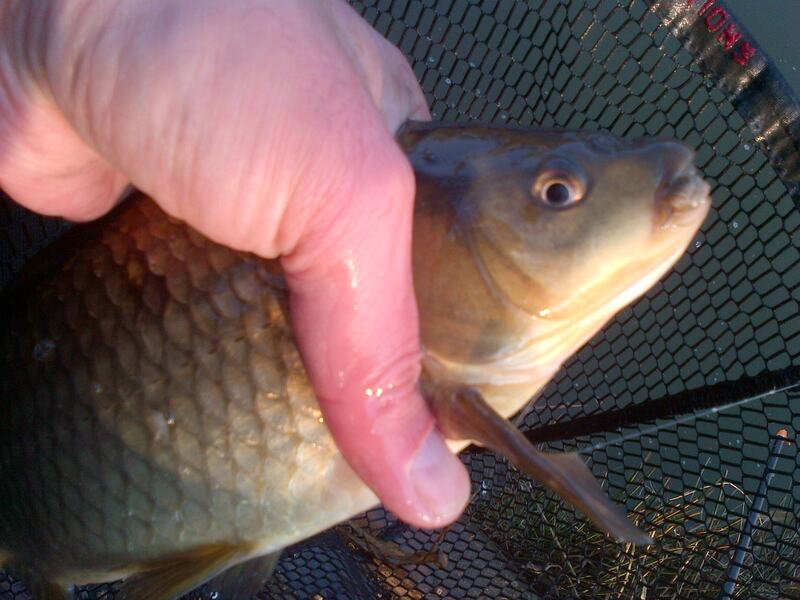 I dropped onto my left hand margin which i had fed with a dozen maggots every twenty minutes since the match started but yet again when my float settled i had a quick bite and another roach came swinging its way to the bank , maybe i had not been aggressive enough with the feed and decided to up it to half a small cupping kit of maggots . A return to my three-foot rig at the side of the reeds but this time with pellets and after about ten minutes i had another f1 in the net , for some reason i found it best just feeding a small ball of neat micros rather than those mixed in the ground-bait or even loose micros which took me a bit longer to work out than i had hoped and in the next hour i added another five fish to the net which put me on double figures it was similar to the lad on my left , i felt that if i could keep up with him then i might have a chance of some good points but like i mentioned earlier i couldn’t see the other lads in my section . When bites began to tail off i put in numerous new swims along the reed bed without success which was strange as the lad to my right was catching in a similar area in my direction , with ninety minutes remaining i had my first look onto my maggot channel swim hoping that a few f1s had settled on it and my float had only just settled when it dipped under and i thought that i might have a few lined up but yet again all i could catch on maggots was small silvers . 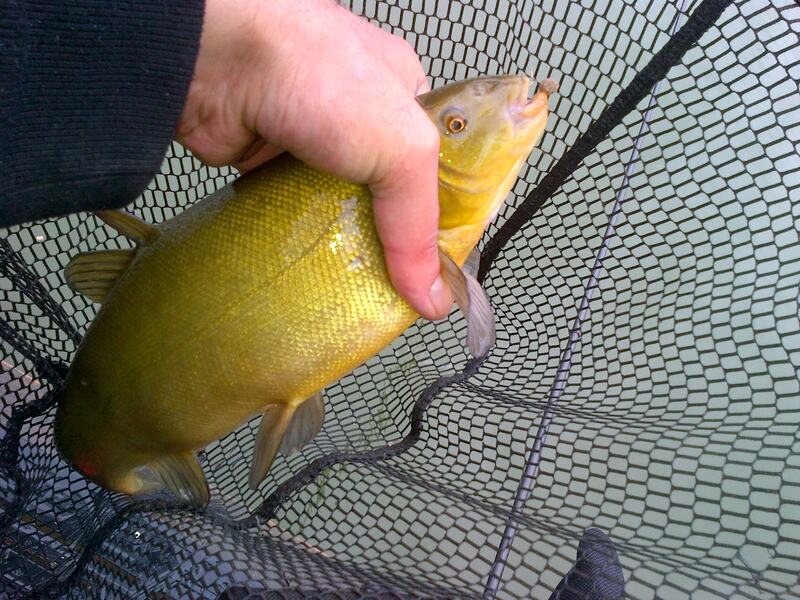 As the rain finally relented i rotated all my swims which didn’t produce an indication so i decided to go towards the dead reed beds on my left but on plumbing up it was a bit snaggy and it took me awhile to find a clean area where i could present a good hook bait , i tapped in a nugget of micros then lowered my rig in over the top of it no sooner had it settled than it buried with a big stamp f1 hitting the net and i managed a few more plus a four pound carp before the all out sounded . To be honest i felt that i had not made the most of the peg but in the rainy conditions my mind wasnt fully focused and i also lost half a dozen fish due to having to break my pole down twice but that’s the way it goes sometimes , after packing all my soaked gear away i had a quick chat with the others in my section and apart from peg six the others had struggled a bit , when the scales arrived i was the first to weigh in and managed 24lb my main danger had 36lb so those lost fish had cost me a better finishing position I end the winter league second in section just like i started it . 1st round peg 167 covey six ended up second in section fished a good match only getting beat by the last on the split which won the match . 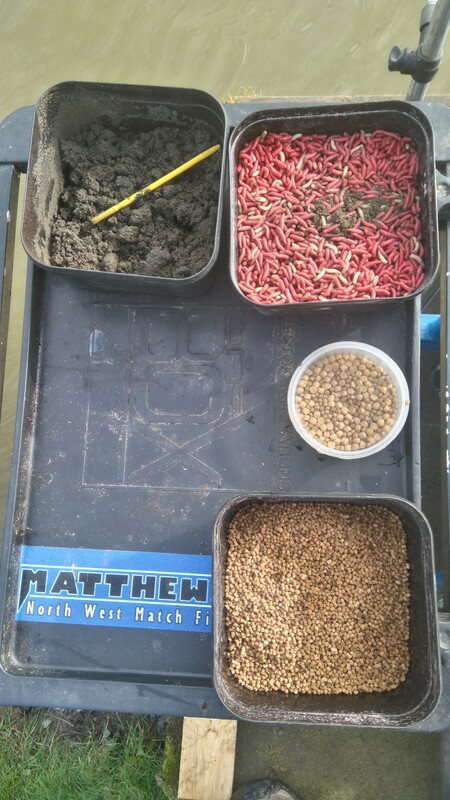 2nd round peg 151 covey six ended up winning the section fished a good match by chasing the fish out into the bowl as the match progressed . 3rd round peg 2 ribbon ended up second in section struggled until the last couple of hours when caught well down the track , got beat by lad on peg 4 who also won the match . 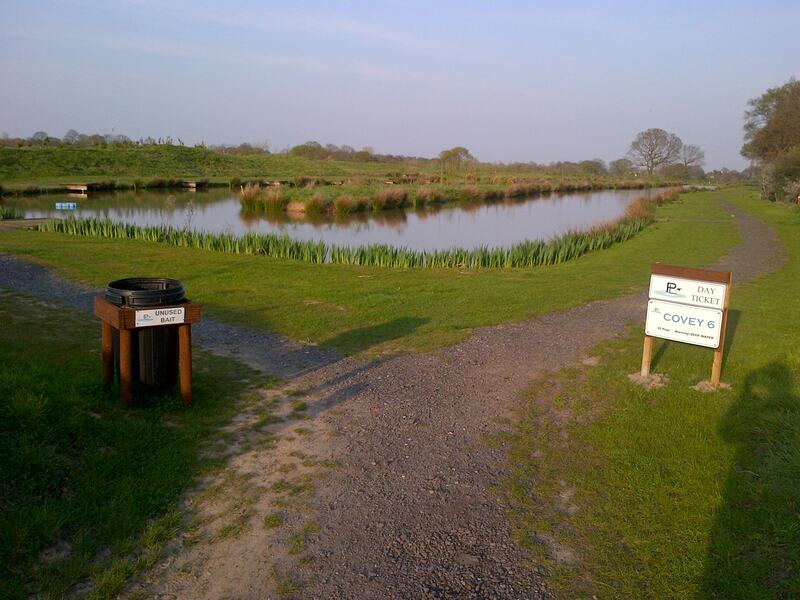 4th round peg 103 covey five ended up third in section my worst result in the league . 5th round peg 10 marsh canal just scraped second in section after making a few bad decisions . 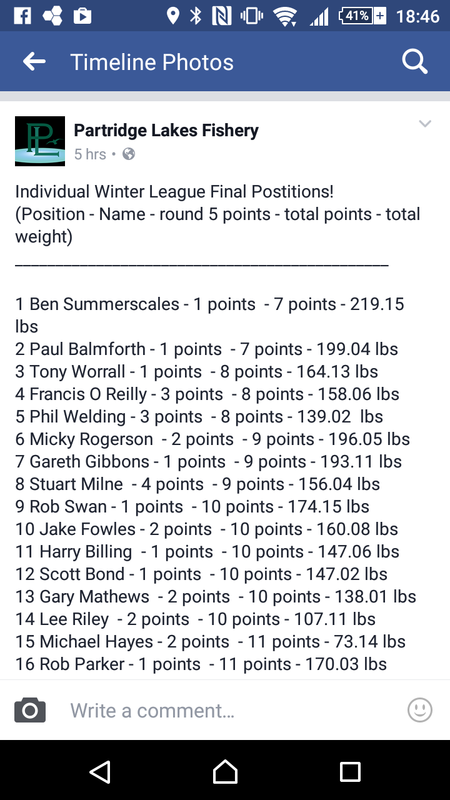 I ended the individual winter league on ten points from five matches and this put me joint 9th overall which i would have been happy with at the start because i was up against some good partridge regulars , although i was pushed back down to 13th on weight countback and i was quite happy with the result but as only eight points got in the top five im sure that i had a chance on a couple of rounds to get an extra point or two which is something that i need to improve on this year . 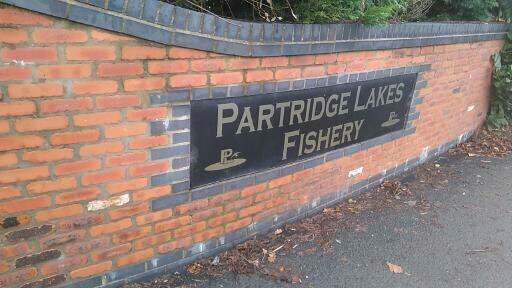 I would like to thank Partridge lakes for running the individual winter league which as far as I’m aware went without a hitch , also to all the anglers that fished who all played their part and especially those that finished in the top five .